A new medical marijuana business trend has sprung up in northern California: “farm-to-table” delivery. At least three startup companies – Potbox, Flow Kana and Loud Cannabis – are specializing in helping wholesale MMJ cultivators sell directly to patients. Scores of delivery services exist in the state, some operated by dispensaries and others by small-scale home growers. Several companies have also cropped up in recent times to facilitate the delivery of cannabis from dispensaries to patients’ homes. But these new services offer wholesale cultivators the chance to bypass dispensaries completely, giving them a pipeline straight to the end user. This allows them to utilize low-cost marketing, access technological platforms they likely otherwise wouldn’t have the resources to pay for, and offer patients a wider choice of premium cannabis. Potbox, which just launched this month, offers a subscription delivery service. 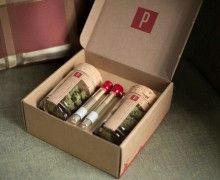 Customers pay $149.95 a month for a box (pictured) containing four grams each of two pre-selected strains and two hand-rolled joints of premium quality cannabis. Loud Cannabis and Flow Kana, meanwhile, let patients to pick and choose which strains – and how much – they want from different farmers and order via mobile apps and online. “There’s a real spirit of small farming in California, and (farmers are) really excited about it, because this gives them a direct connection to their patients. 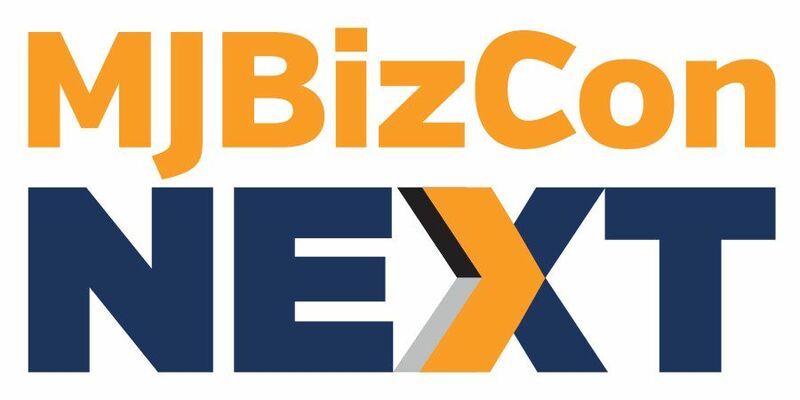 And it really enables them to market their product,” said Josh Artman, CEO of The Green Exchange, which runs Loud Cannabis. Michael Steinmetz, the CEO of Flow Kana, declined to be interviewed for this article, but his company is probably the oldest of the three. According to the San Francisco Gate, the company launched in February. Loud Cannabis launched in March, and Potbox is just a few days old. All of the companies are based in northern California and primarily serve the local market, but they all are looking to expand – and soon. Flow Kana’s website says the company focuses on the San Francisco metropolitan area and is “quickly expanding to other parts of the state and even beyond state lines.” Potbox is already beta testing in the Los Angeles market, while Loud Cannabis said it is looking to expand as well. California – the largest medical marijuana state in the country – is a ripe market for such services given the lack of regulations on the MMJ industry. It’s also the only state where these services are possible, said Jay Czarkowski of the consultancy Canna Advisors. In other markets, wholesale cultivators are prohibited from selling directly to customers, Czarkowski said. But it may be possible to continue such a business model and simply tweak it, said Zeta Ceti, a cannabis consultant based in Oakland, California. The catch: The delivery services would have to work in conjunction with dispensaries or recreational shops instead of directly with farmers, although they could still specialize in high-quality or organic cannabis. Another possible obstacle for the farm-to-table business model is that the California Legislature may very well pass statewide regulations next year. Depending on how they are structured, the regulations could require farmers to only sell to dispensaries. That would necessitate a significant reworking of the business models Potbox, Flow Kana and Loud Cannabis have developed. A potential ballot measure to legalize recreational marijuana next year could have the same logistical impact if it sets up a regulatory system that prohibits farmers from selling directly to customers. “That’s definitely something to be seen, and that’s a risk that any of these groups that are taking,” Ceti said. In addition, it remains to be seen how big the market for farm to table cannabis is, simply because it’s more expensive. Ceti said the average MMJ gram at dispensaries in California is around $17, and Artman said he’s seen prices from higher end growers range from $20 a gram to $40 a gram through Loud Cannabis. “Depending on what type of provider you choose in our app, you’re going to get different pricing,” Artman said. The tradeoff that these businesses are counting on is that their customers will be willing to pay more for quality and organically grown marijuana. “Dispensaries are just going to have to up their game. Everybody wants high-quality products that are clean,” Artman said. But dispensaries probably aren’t going to lose out on any serious business because of this new trend, Ceti said. The market is simply too big in California for three such companies to make a real dent in their profit margins. Besides, Loud Cannabis is even working with dispensaries as well, allowing them to sign up and market their products on their app. Still, the new services represent another evolution of the cannabis business. UPDATE: Due to an error in a press release from Potbox, an earlier version of this story stated that its service included a quarter-ounce each of two premium strains and two joints for $149.99 a month. Potbox corrected the error in a followup press release on Friday; it offers four grams each of two premium strains and two joints for $149.95 a month. Great article! Wanted to add our company to the list; Cabinet Grow has been servicing this community and concept since we launched and sold our first grow box in 2010 at Maximum Yield Long Beach. We just went public via an S-1 registration statement, and FINRA just issued our symbol; CBNT. Internally, we believe Mass Roots is the only other cannabis related public company (micro cap) to have gone public this way. This is a huge win for the entire industry, but closer to home, this is a HUGE win for grow box companies and small time growers everywhere. Keep up the great work everyone! Legalize in 2016! @PotBox Wow! I think our customers would absolutely love your product. We’ve dreamed of providing a similar solution for some time. However, CG committed to an alternative risk profile as a result of distribution in 47 states and 16 countries. @Austin Heap; we should talk about a collaborative effort. Please reach out, I’m at extension 102 and always available for like minded industry professionals. Hat’s off, great job over there! We at leaflink are focused on the farm (and brand) to retailer relationship hinted at in this article. We’ll be launching soon as a product-sourcing platform for retailers to source quality and unique products from within their respective states. Keep an eye out for us and best of luck to the three companies mentioned above. We are just starting this in So Cal and we will grow to any specs. I just had to say something here. Why on earth, or any other planet, would I want to pay $150 for about $60 worth of pot? WTF. The box is nice but it’s not worth $100 is it? I don’t get it, even if it’s organic for Pete’s sake. Why hasn’t the author of this article mentioned the obvious con? $150 gets you at least a quarter and some change. I’m actually astonished at the inequity. Good luck I think you’ll need it. If you want a cell phone, you can get a flip phone for $15. It works just as well as the Apple iPhone 6, right? We at Pro215.com have been providing organic indoor tested medicine delivered to your door since 2008. We prided ourselves in providing organic cannabis from our own collective farm to our patients directly with no middle man. Because of the low overhead and no need for a middle man we were able to provide low cost medicine to those that could afford it and free medicine to those who were terminally ill. But because of no regulations and only guidelines. We have been out through the ringer by the Orange County California courts. So yes, while there is a market for everything talked about. Just be careful and safe. While you may get away with doing certain things in Northern California, Sourhern California is not the same environment. Trust me. When you are ready to open in So. Cal. Come talk to me, I ran one of the too private patient collectives and delivery devices in Orange County. Question? Do these new companies grow their own medicine to offer to patients? Or are they becoming the “middle man”? A year later ……… doubtful any of these companies are still around.